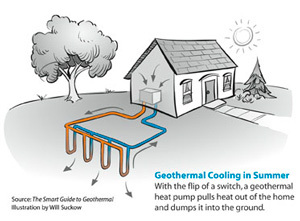 Are you ready to upgrade to a geothermal heat pump? This type of HVAC system is also known by other names: ground-source heat pump, earth-coupled heat pump, etc. Here at Dr. Energy Saver, we find that many homeowners are interested in geothermal heat pumps because of the numerous advantages they have over other HVAC systems. Take advantage of all the benefits of geothermal heating and cooling. Dr. Energy Saver installs quality geothermal heat pump systems in Wisconsin and Minnesota. We are the area's trusted HVAC contractor, serving Saint Paul, Cottage Grove, Chippewa Falls, Hastings, Eau Claire and nearby. Contact us today for a Free Estimate! Dr. Energy Saver is your local expert on home comfort, energy efficiency and improvements that increase “green” value while decreasing the cost of owning your home. We provide heating and cooling solutions to residents of Chippewa Falls, Eau Claire, Hastings, Saint Paul, Cottage Grove, Prescott, Houlton, Farmington, Rosemount, Menomonie, Hudson, River Falls and the surrounding area. 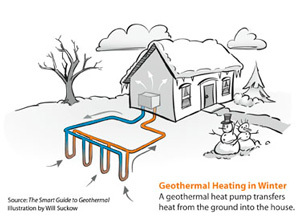 Call today or contact us online to schedule a free home evaluation and estimate for geothermal heat pump installation.